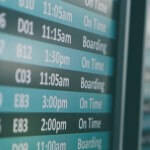 Frequent business traveler? 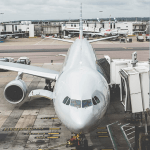 Accessories for easier business travel are a must have! No matter how many times you’ve packed, it can still be a daunting task. This is a list of your new, soon to be favorite items and travel essentials. Despite where your business travel takes you, these ten accessories will keep you organized and ready to take on anything that comes your way. Give a hard pass on expensive airline baggage fees. 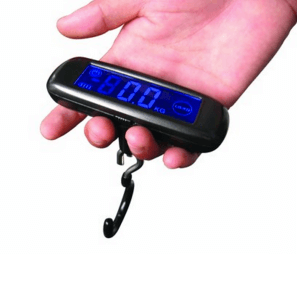 This small, easy-to-read scale from Heys is a cinch to transport and still strong enough to handle your heaviest loads. Never worry about an overage weight fee again! Buy it here. 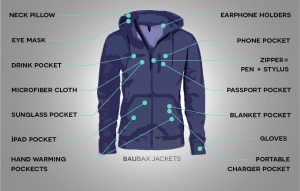 A built-in neck pillow, an eye mask and a pocket big enough to hold your tablet–This self-proclaimed “World’s Best Travel Jacket” by BauBax has all of these features and more. Pre-order now for a February Delivery. 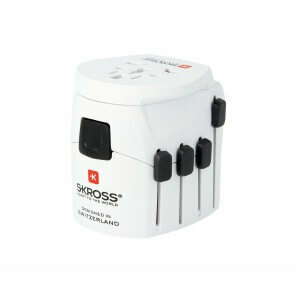 This sturdy, versatile and extremely diminutive adapter from Skross is only 6.6 ounces and 2.8 x 2.2 x 2.6 inches. With the option of using your devices throughout worldwide, this is the only adapter you’ll need for your business travels. Purchase it here. Staying organized while traveling for business can be a tricky. 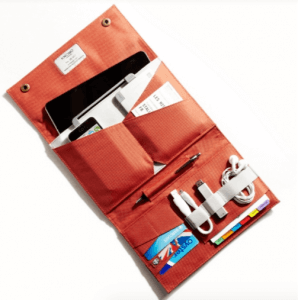 This stylish organizer will solve that problem with space for your cell-phone, tablet, pens, credit cards and passport, all held in place by durable elastic cable ties. Be sure to stay organized with this lightweight and tenacious portable organizer. Buy it here. A device that’s running out of juice is a professional’s nightmare. 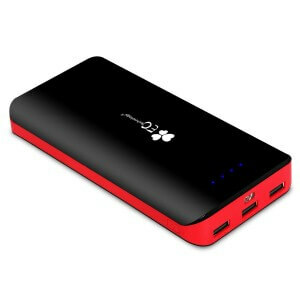 This external battery backup from EC Technology, with rapid charging ability, built-in battery status and 3 USB ports, this backup-charger is sure to keep your devices up-and-running. Buy it on Amazon. For for the frequent business traveler, organization is key. With this packing system from Flight 001 you’ll always maintain clean and orderly luggage. From Amazon. 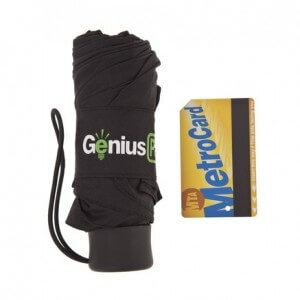 Without much space to spare, an umbrella isn’t always on a traveler’s list of must-haves, however, this ultra compact micro travel umbrella by GeniusPack may make you reconsider. At just six inches when closed and a 40″ Canopy Diameter, this 0.5 lb umbrella is easy to integrate into your luggage and will become a fast travel essential. Pick one up, here. On a business trip, the last thing you need is for your luggage to get misplaced. 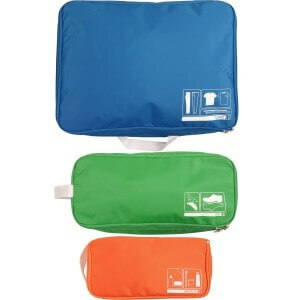 For worry free travel, use Lug Loc. 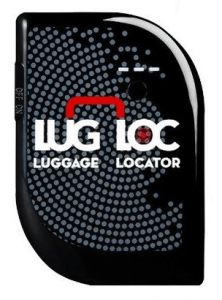 Just place it in your luggage and use the Lug Loc app to track down your stuff. The battery lasts for 15 days! Get it, here. No need for a mess of cords on your travels. 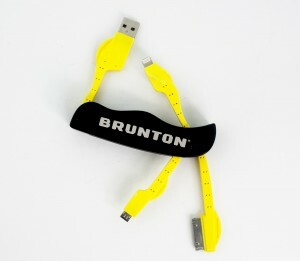 For a more simplified travel experience, try out the Brunton Power Knife. This is a great because it contains multiple accessories for easier business travel. Have sensitive files on your laptop? 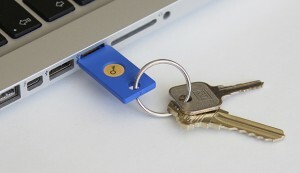 For the security minded business traveler, The FIDO U2F Security Key is a must have. Forget passwords. This USB key can a supports the U2F authentication standard that’s considered unhackable, easing your mind and keeping confidential data secure. Pick one up here. 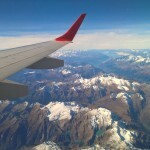 No matter where your job takes you, make sure you are prepared with these travel hacks. And don’t forget, if you are traveling for business soon, call Travalet to get up to 70% off international business and first class flights! #LetUsUpgradeYou. Learn more. What was your favorite accessories from Travalet’s Pro Traveler: 10 Accessories for Easier Business Travel?